A new Force Friday is fast approaching that will come with a massive invasion of new Star Wars toys for Star Wars: The Last Jedi film. Some of the pictures from the toys are starting to be leaked. 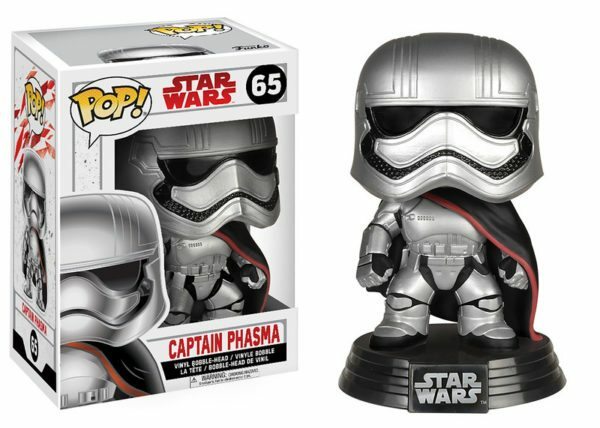 Among the leaks were pictures of all the Funko collectable Pop figures for new Star Wars films. There are some really interesting ones. 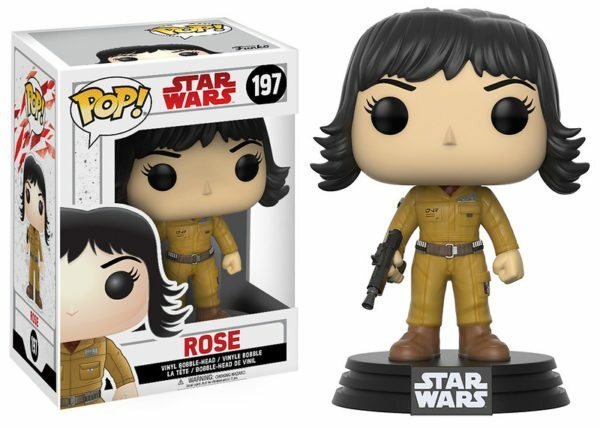 The Funkos include figures for Luke, undercover Finn, BB-8, Rey and Snoke. 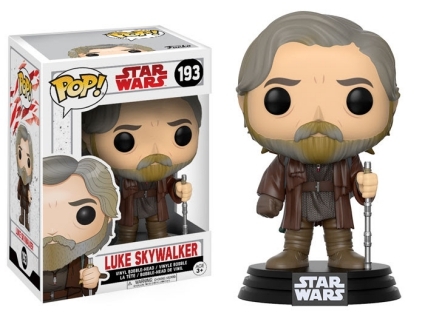 Of all the figures I think my favorites are Jedi Rey, Undercover Finn is pretty cool, Snoke looks like an alien Hugh Hefner thats kind of cool, but all of them the one that I think really calls to me is grumpy old man Luke. That may say more about me though than the figure. Of course the BB-8 figure is cute The Snoke figure is going analyzed heavily, though I don't see anything in this figure that has not been seen in other toys or images. Likely the biggest focus from this set will be the red crystal draped around the neck of Luke (More on that mystery at the bottom of the page). Snoke is a new character but he is starting to appear in toys and merchandise. Here are some toys we found on Amazon that you can check out. You can Snoke and other Star Wars toys at major retailers like Walmart, Target, and Toys R Us. Click through below on the arrows in the picture to see all of the figures. I think the Porg may end up being the most popular that thing is freaking cute. The Rebel Three pack with Rey, Chewie and BB-8 is also really cool. I also think that BB-9E the evil doppelganger of BB-8 will be popular.